Here’s a band I’ve known about for a very long time but never got around to buying an album of theirs until 2010 when I picked up Jaws of Death and Seven Seals. I like both of those album but I haven’t gotten around to reviewing them just yet. Anyway, Unbreakable is the band’s ninth studio album and their third studio release from Frontiers Records (who’ve branched beyond melodic rock/AOR and have started to pick up a number of quality hard rock/metal acts over the last few years). 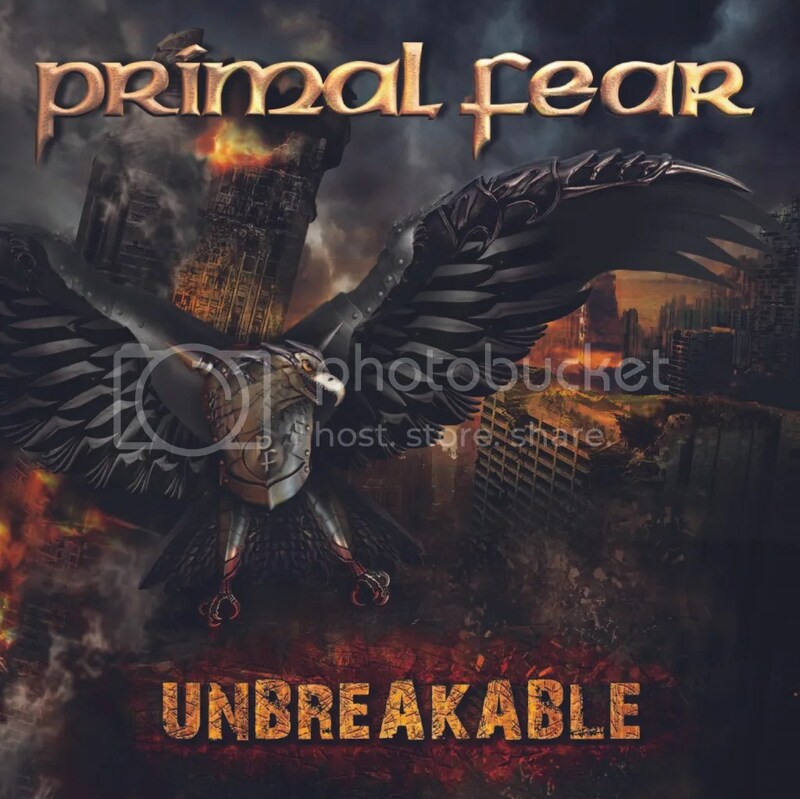 It would be unfair of me to say where Unbreakable ranks in the Primal Fear catalog but what I can say about this album is that I think it compares favorably to Jaws of Death and Seven Seals. What’s good about this album is that it’s full of anthems. “Bad Guys Wear Black”, “Metal Nation”, “And Then There Was Silence” and “Where Angels Die” will get stuck in your head. And any song that isn’t a metal anthem is just powerfully heavy. “Strike” really rips from the get-go and was a great choice to open the album. Then there’s the album’s lone ballad “Born Again”. Another catchy number. It’s not big revelation that Ralf Scheepers’ vocal work is reminiscent of Rob Halford (just ask Judas Priest themselves) but it’s on “Born Again” and “Conviction” that he really comes across as a younger version of the Metal God. “Conviction” is probably the most straight forward traditional sounding metal song on the whole album (with “Strike” coming in a close second) and it’s a true highlight. Very Priest-like. Unbreakable is sure to please Primal Fear fans and should please anyone who has an interest in bands like Priest, Maiden and power metal. It’s a great album to kick off a new metal year in 2012! Digipak pressing comes with the exclusive bonus track “Night of the Jumps”.